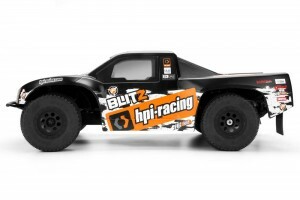 The HPI Blitz is now available with a super-fast Flux brushless system for extreme speed and power! 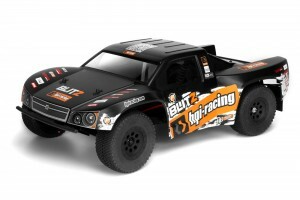 The Blitz took the Short Course scene by storm by combining the best in durability, performance, looks, style and innovation all into one ready-to-run package, and now it has more power than ever! With 4300KV on tap from the Flux Shot 4300 motor, controlled by the powerful Flux Reload V2 speed controller, the Blitz Flux is ready for anything. 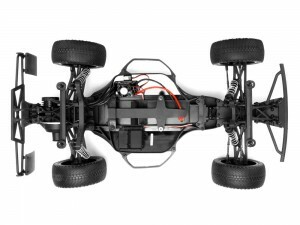 The Blitz Flux RTR is also equipped with a high quality 2.4GHz radio system for crystal free driving, along with a waterproof Flux speed controller and receiver box for wet weather excitement. Topping everything off is a fresh new Skorpion body and graphics that has as much function as it does form.